you need to be eating plenty of raw greens. Lettuce, spinach, baby bok choy, and a host of other delicious leafy greens provide your body with the critical vitamins and minerals that it needs. Many raw foodists email me to ask why I'm so fruit-centered. "Aren't vegetables important? ", they ask. My answer is that they're critical, and everyone should be eating tons of them, but people seem to ignore this and think of what I'm suggesting is a diet that only includes fruit. Sure, you'll eat a ton of fruit on this diet becuase you need calories to meet your needs, but a person should be eating more greens than what you'll find in most raw diets. Everyone should be eating a massive salad at least once a day. The proportion of calories coming from greens in a person's diet should be between 2-6 percent of calories. Depending on how many calories you need, this would be between one and four heads of lettuce or perhaps two pounds of spinach. Very few people consume this much. It's a huge amount, and it takes some time to get used to. So Why More Calories From Fruit Than Leafy Greens? 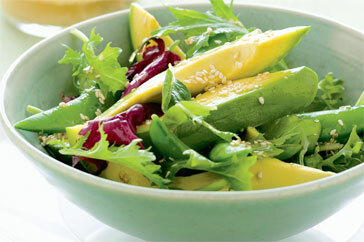 Can you get enough calories from just leafy greens? I challenge you to try. As a 5'11" male, I need 3000 calories a day to maintain my level of activity without losing weight. 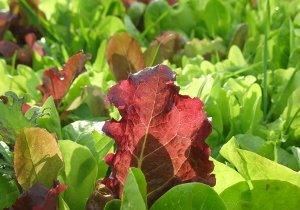 According to nutridiary.com, one head of red leaf lettuce (309 grams) is 49 calories. To reach my 3000 calories, I would need to eat 98 heads of lettuce. Can you guys do this? If you can, I applaud your stomach's holding capacity. But my guess is that you can't. Raw foodists all applaud raw greens, but many say the sugar in fruit is dangerous, so what most are doing is eating tons of fat or processed raw food on top of their greens. I'd love to be proven wrong here, but I haven't met any fruit avoider who doesn't binge on fat except for one very small women who was completely sedentary. Even she had a few pieces of fruit a day. Most rawfoodists obtain a huge part of their calories from oils, nuts and seeds, and fatty fruit like avocados, olives, coconut meat, and durian. They pile this on top of a large bulk of greens that in reality represents very few calories, so they think they're eating a healthy salad. The problem is that most of their calories are in the fatty topping or dressing. Raw foodists average 60 percent of their calories from fat (1), which is enough to clog your arteries with fat and cause heart attacks. This fat intake leads to an underconsumption of carbohydrates, nutrients and minerals because there's not enough bulk from fruits and vegetables. Most end up sucking down unhealthy superfoods and supplement pills to compensate for the fact that they're not eating enough vitamins and minerals in fruits and vegetables, despite being on an all-raw diet. The fat just brings down the nutrient content of your diet. So Eat Salads of Raw Greens, Not Fatty Salads With A Few Pieces Of Lettuce. Anyone who eats enough greens knows how delicious they can be, but they're also critical to human life. Greens are the best source of the 12 mineral salts used in the body, each for a specialized function. Without minerals, the body is unable to force waste products out of cells and let nutrients in. Raw greens are the second best source, after fruit, of vitamins. These are necessary for normal metabolic function, and a lack of them bring on diseases like scurvy and rickets. 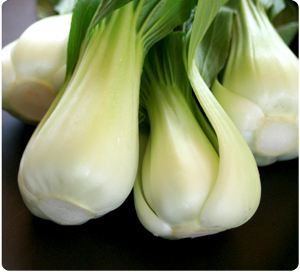 Vegetables also contain the enzymes the body needs to perform thousands of tasks. It's critical that you get enough raw greens, so skip the fat, eat plenty of fruit, and make sure you're having a large salad every day. For some great raw greens recipes and dressings click here.